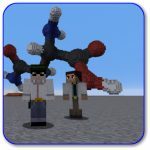 In this intro to Chemistry course, we will discover the amazing and exciting science of stuff. You will journey through the darkest reaches of space and the very veins in your body to discover all of the combinations of the elusive proton, neutron, and electron. Join us on this epic adventure into “stuff”! This is the first course in a year long adventure into Chemistry that continues in session 2.